Philip Greenland, MD, the Harry W. Dingman Professor of Cardiology, was the lead author of the study, which found coronary artery calcification in one-third of women considered low risk for heart disease. Coronary artery calcium — a sign of atherosclerosis — was found in more than one-third of women considered to be low-risk for atherosclerotic cardiovascular disease (ASCVD), and its presence was associated with an increased risk of developing the disease, according to a Northwestern Medicine study. The paper, published in the Journal of the American Medical Association, supports the concept of potentially using coronary artery calcium (CAC) to improve heart disease risk predictions in women. 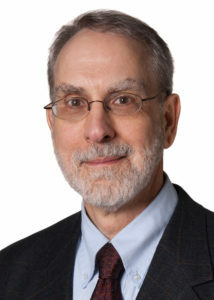 Philip Greenland, MD, the Harry W. Dingman Professor of Cardiology and director of the Center for Population Health Sciences, was the senior investigator for the study. Heart disease risk predictions can be helpful in identifying people who might benefit from preventive interventions, especially statin therapy. But under current guidelines, a larger percentage of women are classified low-risk, as compared to men — and therefore aren’t typically candidates for statin therapy. “And yet, we know that there are women who end up having heart attacks,” Greenland said. “So the question is, can you find them? The scientists decided to investigate whether CAC might be valuable in helping to pinpoint these “low-risk” women who are actually more at risk for ASCVD. The investigators pooled data from five large cohort studies, including more than 6,700 low-risk women who had undergone CAC examinations. They found that CAC was present in more than 36 percent of participants. Further, the presence of CAC was associated with an uptick in the incidence rate for ASCVD. Still, the investigators caution against interpreting the paper as a recommendation that all low-risk women receive CAC testing. There are two particular downsides to screening, according to Greenland, including the CT test’s radiation exposure — although it is relatively low — and the possibility that the scan might pick up false positive indications in the lungs. There are also considerations physicians must make when initiating statin therapy. The paper was also co-authored by Kiang Liu, PhD, professor of Preventive Medicine in the Division of Epidemiology and of Medicine in the Division of General Internal Medicine and Geriatrics; and Hongyan Ning, statistical analyst in the Department of Preventive Medicine. The research was funded, in part, by the National Institutes of Health’s National Heart, Lung, and Blood Institute (NHLBI), the National Center for Advancing Translational Sciences, and the National Center for Research Resources, along with the Donald W. Reynolds Foundation, the Heinz Nixdorf Foundation, the German Ministry of Education and Science, the Deutsche Forschungsgemeinschaft, Erasmus MC and Erasmus University, NWO, the Netherlands Organisation for the Health Research and Development, the Research Institute for Diseases in the Elderly, the Ministry of Education, Culture, and Science, the Ministry for Health, Welfare, and Sports, the European Commission and the Municipality of Rotterdam.